Each year, thousands of people are seriously injured in motor vehicle accidents, often resulting in complex legal issues. This already difficult situation can become even more stressful when injuries are involved. Severe injuries sustained in automobile collisions can have a lifelong impact, so it is important to seek experienced legal representation. The more motorists that are involved in the accident, the more complex these cases become. With proper representation from an experienced personal injury attorney, you can recover the compensation that you deserve for your injuries. If you or a loved one has been involved in a motor vehicle accident, contact an attorney in your area to schedule a complimentary case evaluation. Following a car accident, it is important not to make any statements that could be used against you in court. Following any type of motor vehicle accident, there are a number of steps that you should take to protect your health and legal rights. If your car is still operable and traffic conditions allow, you should safely move your vehicle to the side of the road as soon as possible. If you have sustained any injuries - even if they appear to be minor - you should seek immediate medical attention. Symptoms of many injuries, including concussions and whiplash, may not be apparent right away, which makes it even more important to see a doctor promptly. In addition to obtaining the treatment that you need, visiting a doctor will also provide documentation of your injuries that can be used as evidence in your case. It is important that you do not make any admissions of fault. Whether you believe you are fully or partially responsible for the accident, do not make any statements to the other drivers, witnesses, or responding officers. It is imperative that you contact an attorney immediately following an accident to ensure that you are legally protected. An experienced personal injury attorney can help you properly document the scene of the accident and preserve all relevant evidence. Nearly any type of vehicle has the potential to be involved in a traffic collision. Additionally, non-motorists, such as cyclists or pedestrians, are also at risk of being involved in an accident. Car accidents can involve multiple vehicles or just a single car, and can range in severity from minor fender benders to catastrophic collisions. Motorcyclists have gained a bad reputation among other drivers as being reckless or careless on the road. However, most motorcycle accidents are actually the result of another driver failing to adequately check their mirrors before changing lanes, or adverse weather and road conditions. Accidents involving large commercial trucks often result in much more serious injuries, especially for drivers of smaller vehicles. Despite the many rules and obligations truck drivers must adhere to, many go without sufficient rest, putting themselves and others at risk. As with motorcyclists, bicycle accidents are often the result of another driver’s negligence. Some drivers feel bicyclists have no place on the road and drive aggressively, which can create a dangerous situation for all parties involved. Accidents involving buses and other mass transit vehicles commonly result in severe injuries for passengers and other motorists because of their large size and lack of safety restraints. Victims of these types of accidents require the assistance of a personal injury attorney to help determine liability for their injuries. Boating accidents are unfortunately common, and can turn a pleasant vacation or outing into a painful memory for those involved. In addition to the injuries the accident can cause, there is the potential for drowning. Even for strong swimmers, an injury can prevent victims from keeping themselves afloat. Accidents involving passenger vans can also typically involve injuries to numerous parties. 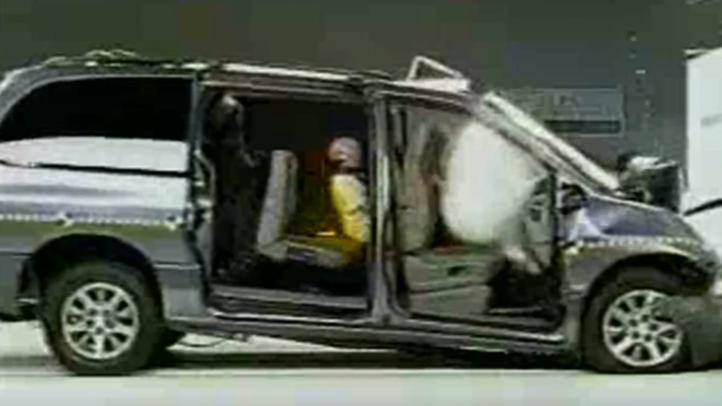 Many schools, churches, and senior homes use vans of this type, and serious accidents could result in injuries to young children or elderly passengers. Pedestrian accidents can involve any type of motor vehicle accident that results in an injury to a pedestrian. A distracted driver may not see a pedestrian until it is too late to stop, or the driver may not see the pedestrian at all. Pedestrian accidents can also include instances in which a driver breaches a sidewalk, or strikes someone who is crossing the street. Similar to motorcycles, ATV accidents often involve severe injuries because the rider is left vulnerable without safety equipment. Most recreational vehicle drivers wear a helmet, but their bodies are still exposed in a crash. Unfortunately, DUI accidents involving injuries occur roughly every two minutes in this country. A driver under the influence of alcohol, prescription medications, or illicit drugs can be arrested for DUI. In addition to criminal charges, offending drivers can be held financially responsible for any injuries that result. An experienced personal injury attorney can help protect you after a car accident. Personal injury lawyers typically have extensive knowledge and experience dealing with motor vehicle accidents. Since there is almost always more than one insurance company involved, you may feel overwhelmed while to handle everything on your own. However, an experienced attorney can deal with each insurance company on your behalf, allowing you to focus on recovering from your injuries. There are a number of different tools an attorney will use to determine liability after a motor vehicle accident. Many attorneys will use a team of accident reconstructionists to determine the chain of events that led to the collision. These teams can recreate the entire atmosphere surrounding the accident, from road and weather conditions to driver fatigue and defective auto parts. Using this information, your attorney can build a compelling case to hold the at-fault driver responsible for your injuries. Many attorneys will use a team of accident reconstructionists to determine the chain of events that led to the collision. Your attorney will also gather information from witness statements, photographs from the scene, and police reports from the responding officers. Your attorney will work diligently to obtain proof of negligent or reckless behaviors, such as driving under the influence (DUI), excessive speeding, texting while driving, or other instances of inattentive driving. If you or a loved one sustained injuries in a motor vehicle accident, please contact an attorney in your area today to schedule a free case evaluation.